Ever wonder what a Super Sweet 16 looks like? Check out some photos from Kimberly's Super Sweet 16. 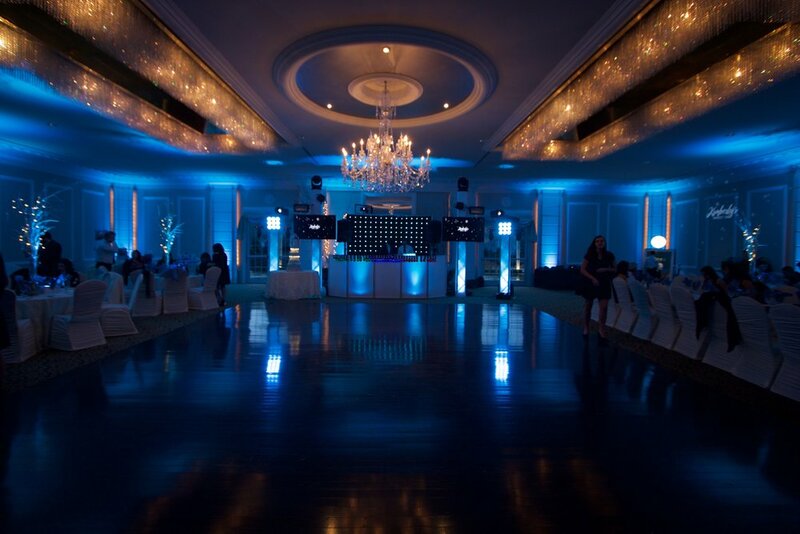 This party was full of entertainment options from a DJ with our most advanced lighting to two different Photo Booths. We transformed the room to fit Kimberly's Winter Wonderland theme. Kimberly's theme was winter wonderland. We determined there was no better way to immerse ourselves in winter than snowflakes, so we made sure to make them happen everywhere, including the entire backwall of the venue. We debuted our new LED Robot out on the dance floor. He came out for a one hour show dancing and taking photos with guest as well as blasting our CO2 cannon cooling down the dance floor for this winterer theme! The robot blasting our CO2 Cannon! Ever wonder what would happen if a company like Disney brought magic to the photo booth world? This is what would happen! 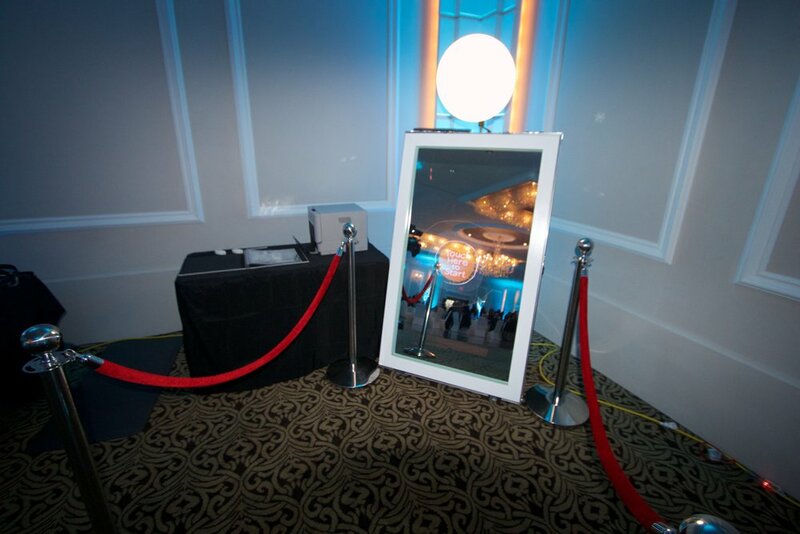 The mirror booth is the most advanced photo booth on the market and its possibilities are limitless! Kim's guests enjoyed the booth all night! Not everyone books this lighting setup, but when someone does, we take it seriously. It took the staff 3 hours to assemble this incredible lightshow including truss towers with moving heads, floor washes, our LED Curtain backdrop, lasers, and more.